Tadese Tola enters the 2014 Bank of America Chicago Marathon with the second-fastest personal best in the field (2:04:49). This marathon vet has a 2010 Paris Marathon win on his resume and a marathon bronze medal from the 2013 World Championships. 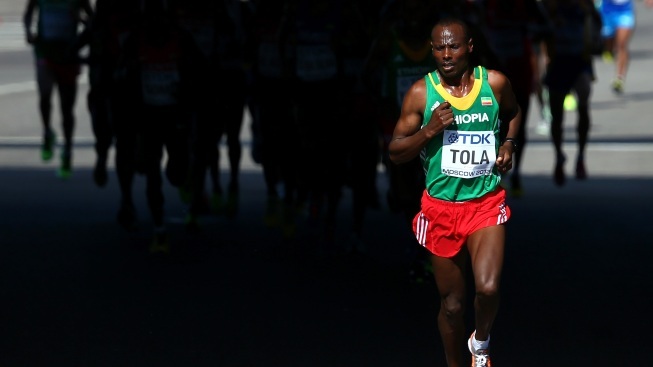 Tola hasn't exactly been on fire in 2014, finishing off the podium at the Tokyo Marathon, but he's not that far removed from a hot 2013 where he finished second in the Paris Marathon, third at the World Championships and breaking the course record at the Beijing Marathon in 2:07:16. This won't be Tola's first experience in Chicago, having entered the race in 2009. So will he be in the running for a top spot this year? You have to give someone who's run a sub-2:05 a legitimate shot at the podium.